1. 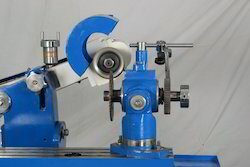 UNIVERSAL Dividing Head can divide in any angle by the direct, in-direct, or different methods. The ratio between the warm and the warm gear is 401. 2. 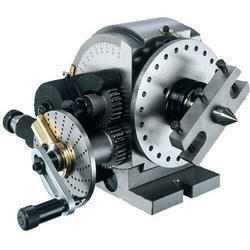 Hardened and ground spindle is rigidly held in a taper roller bearing. Worm is hardened and ground also. Min. reading of vernier: 10"
- Work piece can be circularly indexed and precisely rotated to preset angles or circular divisions. With the aid of our experienced team, we are devoted towards manufacturing an exquisite range of Universal Dividing Head.